The layout guide for the Harvest JOY Wall hanging is ready. It's actually been up over at the facebook group for a little bit but I forgot to mention it here! It's a layout guide only - it does have links in it to all of the different blocks to make it so if you haven't started yet you can use the guide as a reference tool to make it later. And I honestly didn't mean to leave you in suspense about my little Fall panel and what I planned to do with it. 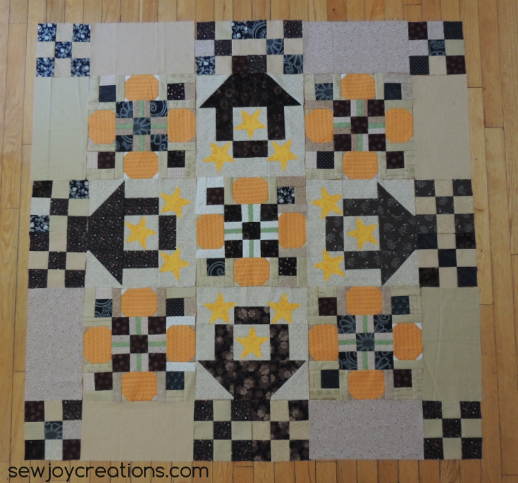 I am focusing on making a quilt to be published and I have a hard time switching gears once I am really into a project. Anyway. THIS is how I plan to deal with the distraction. . . . I really like it and think there are lots of possibilities here which deserved to be played with and created and enjoyed. Maybe you will be the lucky one! If you don't buy kits - tell me why not or what WOULD make you buy one. I don´t buy kits, my experience has been bad both times I did and since then I prefer to buy patterns and fabrics separately. I have not bought kits for the basic reason that I like to make my projects unique and personal. I get lots of ideas from what the kit offers, but will change it up by choosing my own fabrics. I have bought several quilt kits-all to make baby quilts. Don't think I'd do it again. The "pro" is that the fabrics go together so nicely (which I struggle with) but the "con" is that the fabric quality is not always the best. I usually buy a pattern and use my own fabrics. A lot of the kits I like usually have a fabric or two that I don't care for. I buy kits for small thanks like table mats, especially if they are wool ones. I havE also bought kits if here are lots f small pieces needed such as a Makenna Ryan pattern- saves money! I like buying quilts for special projects like Christmas wall hangings or a baby quilt. Otherwise I stick to scrappy. I have not bought a kit yet. I probably will in the future, I'm just sort of new to sewing and on a strict budget! I have never bought a kit. I am a newbie so have stuck to some simple designs from magazines using scraps that I had. Then it doesn't matter if it all goes wrong! 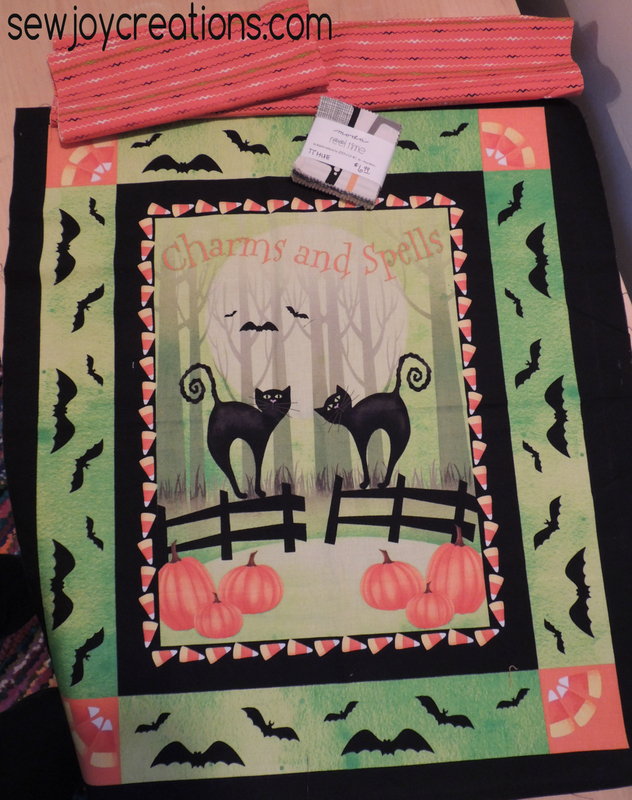 I do not buy quilt kits but will buy smaller kits for projects like wall hangings etc. I know too many people who had issues w/ quilt kits! 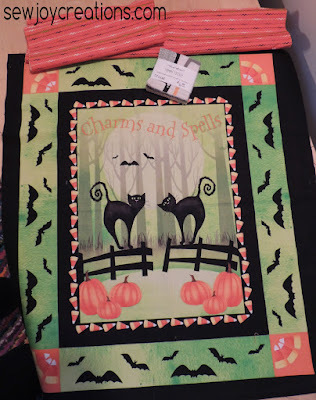 thank you and I love your fall quilt! I don't buy kits because they are too expensive. So this would be a treat! I just bought a kit. I am new at quilting so I bought a kit with the material to get me started. Interesting bunch of data collection. I buy kits only when its super attractive and had fabulous fabric that I rarely see. i have never bought a quilt kit. so far I have enjoyed the process of picking my own fabrics/colors and cutting each to size. this is so adorable. I only do fun and happy harvest stuff. I can see this in my sisters house. Hello Joy, it's so nice to meet you. I usually buy lap or twin size quilt kits, wall hangings. Usually purchase at local quilt shops or quilt shows/expos. It's like a box of candy, all things pretty tasty inside and everything ready to sew. 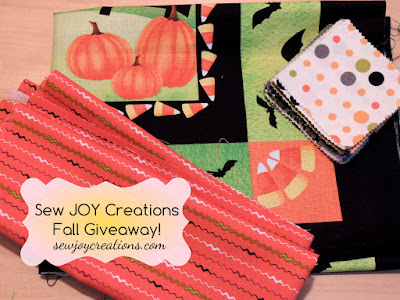 YOur Harvest Joy Sampler is my favorite...I love Orange, and Autumn.